'Tis the (endless) US presidential primary season, which accounts for my not keeping up with my own blog. So let's talk politics. Not, you may be relieved to know, the Iowa caucuses, though - shameless plug time again - you can read my piece here explaining this mystery of American politics to the European Courier's readers. If you have an urgent need to know my own biases this election season, here you can read my comments at Daily Kos. Politics is about power, and political power, like power in physics and engineering, can be characterized in part by its density - how much of it is available in a given volume of space. Consider two related terms that came into popular use roughly a century ago: gunboat diplomacy and battleship diplomacy. Both mean much the same thing: If mutual understanding through dialogue is not achieving the desired results, perhaps mutual understanding through dialogue plus a handy warship or two will produce a diplomatic breakthrough. Gunboat diplomacy and battleship diplomacy differ only in the number and caliber of guns carried by the warship (and resulting incidentals such as size and cost). A battleship is a much greater concentration of power, but paradoxically it is the gunboat that conveys more power, because behind the gunboat, implicitly, is not one battleship but an entire fleet of them. Where Teddy Roosevelt would have had to send a battleship to encourage deference to the United Fruit Company respect for the flag, Edwardian Britain needed only a gunboat flying the White Ensign to remind everyone exactly who ruled the waves. It was Britain's enormous maritime power density - embodied, in the early 20th century, by some 50 battleships and 120 cruisers, with scores of bases to support them - that allowed it to exercise sea power symbolically, with gunboats rather than battleships. Nearly a century later a relatively weaker Britain needed a task force to emphasize to Argentina that the Malvinas were still the Falklands after all. At still lower power densities, even the prospect of sending a task force becomes uncertain; the only persuasive arguments are those you have at hand. Thus from the 16th through the 18th centuries European countries built Indiamen - large merchantmen, armed and equipped nearly as men-of-war - for oceanic trade: ships able to carry their own insurance, as it were. At the other extreme, the potential power density is so high that no battleships actually need to be built; nothing but gunboats (call the coast guard cutters) may be required. It is not rocket science to see that power density would have its role in space as well. The Galactic Empire in Star Wars evidently does not have the power density it would like to have; otherwise a few star destroyers would be enough to keep those local systems in line, and the Death Stars could all stay in port. The Trek Federation, by contrast, seems in pretty good shape. In spite of great-power rivals like the Klingons, it is able to keep order using quasi-warships like the Enterprise - quite a bit more than a gunboat, but scarcely a full-fledged battleship. The Firefly / Serenity 'Verse occupies a more ambiguous portion of the power-political spectrum. Serenity is no armed merchantman (impressive restraint for Hollywood SF), let alone an Indiaman, but there does not seem to be much law and order at her ports of call. Some armament might not be such a bad idea, if only Mal could afford it. The Alliance certainly has cruisers and presumably a battle fleet, but even after winning the War Between the Worlds, its power density out toward the rim seems fairly tenuous. Power density thus determines the flavor of the setting. Where power density is very high, action is more or less limited to barroom brawls or stealthy capers - anything more and the place will be crawling with cops. The Patrol in Space Cadet and other Heinlein juveniles is at or near this level of power density. At a somewhat lower power density you get Honor Harrington, or any of the endless variations of space fleets. At lower power densities still you get RPG style scenarios - armed tramp freighters, space pirates, quasi-independent space stations, all jostling one another, but none able to impose its will with much consistancy. The rocket science comes in making the physics assumptions fit the setting, and making the setting consistant with itself. If stellar empires are a travel year apart, they are probably not at each other's throats, because they are not in each other's face. Given such vast space, even formidable star empires face a low power density. A task force will take two years simply to reach enemy territory and return, not counting whatever time it spends doing whatever you sent it to do. Armed trading fleets - a return to something like Indiamen - might be plausible over such long distances. On the other hand, if rival battle fleets stand guard a couple of weeks' travel apart, the effective density of power is much higher, and armed merchant ships are far less likely. Determine the overall power density of a setting, and you will know what sorts of conflicts to expect there. I'm just (re)reading _A Deepness in the Sky_ by Vernor Vinge. The situation there, with STL starships, means that governments will each cover at most 1 solar system (possibly a binary or triple star system like Alpha Centauri). However, the Qeng Ho do make for a loose interstellar trading federation, but each starships has to carry enough weapons to deter attacks from the locals in any solar system it is visiting. The power density is very high within solar systems & almost zero in between. You know, thinking about it, power density is also conditional on time and treasure. You only have high level of power projection if there is an ongoing need for it AND you can afford it. As the threat fades, so do reasons for a high level of military force. A nation can only project the level of power that it can afford. Or, think that it can afford. 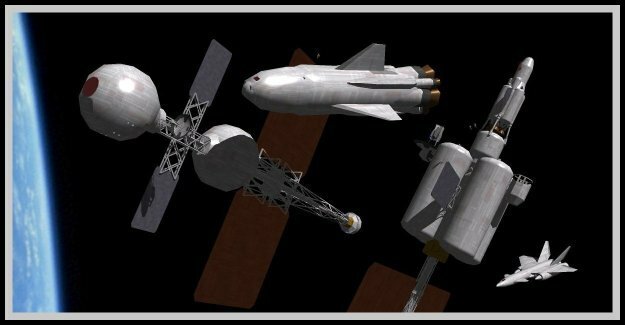 If a spacefaring power NEEDS a fleet, it will build one. If it THINKS it needs a fleet, it will build one, (whether it really can afford one or not), even if it doesn't need it. Of course, sooner or later, it will pay dearly for maintaining a fleet it can't afford. After that, the question becomes one of a small fleet of huge, multipurpose starships vs. as huge fleet of small, specialized ships. Interesting analysis. It can vary on the small scale as well as the large scale, can't it? E.g. can you have a centralised state with a generally high power density that has pockets with a much lower power density, like the backcountry or inner-city sink estates? Carla, yes, the average power density of military forces are just that; average. Distribution of forces is dependent on need and perception of need. In a democratic, classless society, distribution of forces would be more equible; in an autocratic society, distribution of forces would be less so. Of course, distribution of forces is part of military strategy. So, yes, you are correct, that the large scale can be different from the small scale. Only starting to catch up here. Jim Baerg - certainly with STL starships I would expect exactly what you describe, systems as compact archipelagoes in a vast sea. Ferrell - certainly time and treasure are factors in creating power density or its absence. And how people respond may not follow our expectations. The Chinese giving up their treasure fleets is as odd in European perspective as the Japanese giving up guns. Carla - often power is a web or network, and yes; there are often parts of town where City Hall just doesn't regularly exert itself. Only enough, perhaps, to prevent spillover - rather the equivalent of keeping the frontier barbarians in line. I have always liked the background significance of the phrase " a cutting-out expedition." Bernita - Arrgh, catching up so belatedly. Yes, cutting-out expedition is a very evocative term! I imagine the term was from literally cutting the anchor cables. Not sure about the protocol for posting on older entries but I'll give it a shot. I'm not sure if power density is the best word to use for this. There's two factors to consider here. The first is the technological base, what it can conceivably support. The second is the cost of maintaining a military presence. To make a few comparisons -- Rome fielded some of the most formidable and professional armies ever seen on the planet but they were capable of being defeated by what essentially amounted to nomadic tribesmen. And this was not a "win by dying in vast quantities but outlasting them" victory such as the Vietnamese had over the US or the Afghans had over the Russians (and, eventually, the US). These were flat out victories, taking the legion's eagles and everything. However, as technology becomes more complex, it becomes less likely for lesser countries to field an equivalent force. They lack the technological sophistication, finances, and wherewithal. You will arrive at some interesting exceptions such as Arab oil states that can afford to purchase advanced equipment far in excess of their tech base due to resource extraction revenues. But running hand in hand with this is the cost of supporting an empire. Great Britain could best any fleet in the world in a stand-up fight but did not have enough ships to be everywhere at once. This is the same situation faced by the galactic empire. An Imperial Star Destroyer is supposed to be capable of pacifying advanced star systems single-handedly. This power was somewhat nerfed in the video games but the relative power of starfighters was buffed beyond all sanity so I think we can just pretend to ignore all of that. The whole purpose of the Tarkin Doctrine was to make up for the material deficiencies of the Imperial fleet with ultimate terror. With a Death Star blowing up planets, no system would dare rebel. But as we've seen in the past, terror is rarely an effective tactic. The most apt comparison would be the carpet bombing of cities in WWII. Horrific as it was, it had little effect on war production. Germany was producing more aircraft per month at the end of the war than at the beginning. Factories were dispersed from the obvious target centers at that point. Of course, they completely lacked pilots for those planes and couldn't offer any meaningful training due to the lack of fuel. But if these were automated weapons it would have been a whole different story, a far more difficult war to win. Going back to Star Wars, the whole Death Star as an idea seems flawed from the start. Based on the movie dialog, Han Solo says it would take half the fleet to blow up a planet. That establishes a fairly powerful baseline. If all the Empire needed was a demonstration, why not gather half the fleet instead of building Death Stars? But ok, let's concede the point that they'd like to do with one weapon what would take a fleet. Why blow up a planet? Planets are useful things. A super-plague that would wipe out the populace and leave the planet free for recolonization would be very scary. But if destruction is required, why blow the whole thing up? It would take far less energy to slag the surface, rendering the planet a lifeless ball of rock that could then still be put back into use. I know why Lucas went with blowing up planets, it's nice and dramatic. But within the confines of the story, I just can't fathom imperial thinking, to explain it. I would have to think that even the most callous, greedy, and amoral imperial would balk at the wanton waste of blowing up the planet. Sure, if it cannot be taken, deny it to the enemy. But it's technically an imperial planet, being within the empire and all, so blowing it up would be blowing up your stuff! Comments on older threads are welcome! The only risk is that I may miss the email notification and not be aware of it. Rome's advantage was not its hardware, though the manipular legion was an excellent tool. Rome's real advantage was the social 'software' that allowed it to persistently field large, effective armies. Augustus might cry in vain, 'Quintilius Varus, give me back my legions!' But he still had 30 more, and the Empire lasted 400 years. When it fell it was different reasons. Terror has a deservedly bad reputation as an instrument of statecraft. It works best (so to speak) when used relatively rarely, to set examples. The Ottomans had a dreadful reputation for cruelty, but much of their actual governing practice (so I gather) was a bargaining process, balancing off local factions and sects. Their empire also lasted 400 years, and my impression is that the Ottoman Middle East was generally fairly peaceful, not heaving with suppressed rebellion. From one perspective the contemporary Middle East is chaotic because it is in the throes of a post-Ottoman interregnum. Displays of magnificence are also in bad repute, for much less reason, because they can also be a good way - and even cost effective - to show that you are rich and powerful, and create the illusion that you're even richer and more powerful than you really are.